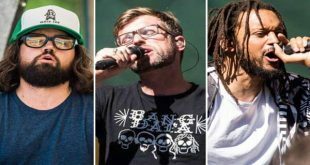 Recently, alternative hip-hop rock band Flobots announced the second leg of dates for their RISE + SHINE Tour, in support of their recently released fourth album, NOENEMIES. Flobots will play Asheville at The Grey Eagle January 26, 2018. Set on the Qualla Boundary of Cherokee is the Harrah’s Cherokee Casino Resort, one of only two casinos in North Carolina. Open since 1997, the Cherokee has become a leading gambling hub for the state since opening with only video poker for their guests to play some 20 years ago. Would Santa ever visit Asheville without Christmas Jam popping off? We haven’t had to test the possibility in 28 years, and hopefully, it’s a long time coming before such a tragedy would occur. 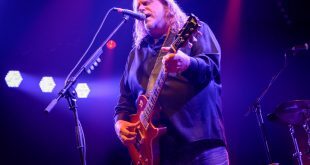 Organized by Grammy Award-winning vocalist, songwriter, renowned guitarist and Asheville native Warren Haynes, The Annual Christmas Jam concert has a rich story behind it. It all began in 1988 when Haynes decided to give an opportunity for performing artists, fans and donors to come together through music and contribute to the Asheville community at large. 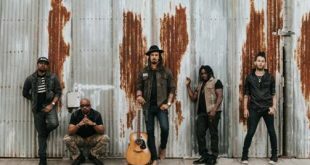 MICHAEL FRANTI & SPEARHEAD--led by the socially and environmentally conscious singer, songwriter and guitarist--are bringing their “Love Out Loud” world tour to North America this summer including a stop in ASHEVILLE at SALVAGE STATION on THURSDAY, AUGUST 3. 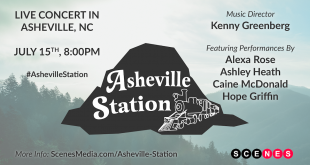 On Saturday, July 15 at 8 PM, SCENES will present a live concert at the hub of the bluegrass and “roots” music scene: Asheville, North Carolina. 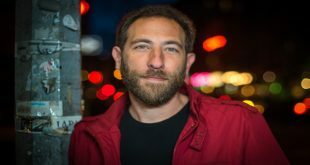 It will be a house concert, in the tradition of New Orleans “rent parties” and other home-grown venues that gave birth to the blues and nurtured folk music for decades. 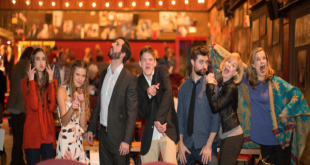 The creators of the Asheville, NC based Web-series “When Fact Met Fiction” (WFMF), Stefan and Robin Liner, launched a crowdfunding campaign on IndieGOGO on Saturday, April 1st 2017 to raise funds for the production of the show’s second Season. Season 1 of WFMF debuted last winter with 8 ten minute episodes released on Youtube and Vimeo. The cast and crew of Asheville film professionals filmed all eight episodes in 4 1/2 days on a shoestring budget. Are you Irish? Just looking for an excuse to drink? Enjoy dressing in green? Whatever the case, Saint Patrick's day is a good excuse to break out your lucky green shirt, grab that green bowler hat, and hit up your favorite bars or breweries in Asheville to participate in drinking shenanigans. Don't have plans yet? 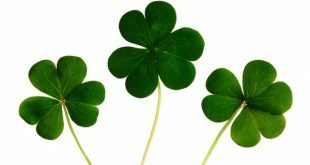 Check our list of unique Saint Patrick's Day celebrations happening in and around Asheville. 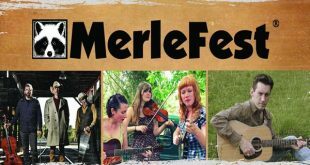 You can bet on Saint Patrick's Day 2017 in Asheville for a hopping good time! 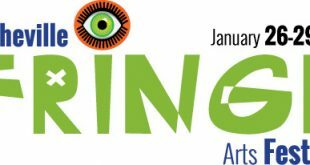 The Asheville Fringe Arts Festival will return bigger and better for it's fifteenth year. With over 35 contracted artists and 18 ticketed shows, the bold festival just keeps growing and growing. The 2017 edition will feature some favorite dance/movement based artists from years’ past, including Jenni Cockrell, Lindsey Kelly Dance, Amanda Levesque and Kathy Meyers Leiner. Puppetry fans will enjoy several shows in the line-up, including a premiere by Keith Shubert, as well as work by artists Broderick Jones, and West of Roan.